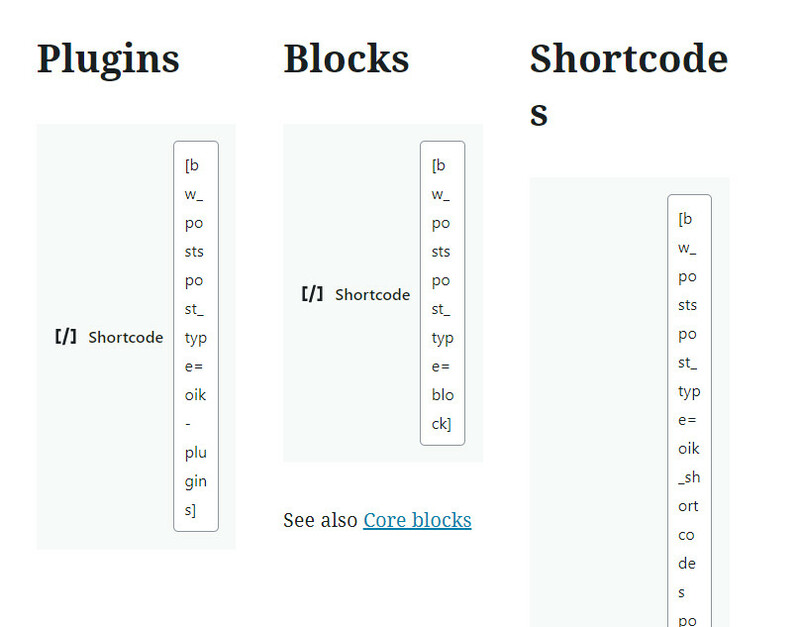 Use the Shortcode block to write shortcodes which produce blocks. This shortcode displays the current version of WordPress and PHP being run on the server. Invalid lang= parameter for bw_geshi shortcode. Suitable for shortcodes which produce blocks. Do not use for inline shortcodes. May fail to cater for new lines in block content. The shortcodes are not rendered in the editor but are invoked when the post is viewed. Shortcode blocks are almost impossible to use in columns. There’s an issue for this problem.